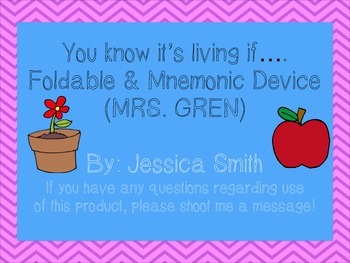 MRS. GREN is a great mnemonic device to help students remember 7 characteristics of living things. 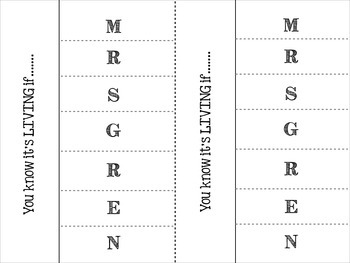 This product includes a foldable that would be perfect for interactive science notebooks to help students remember what each letter stands for! 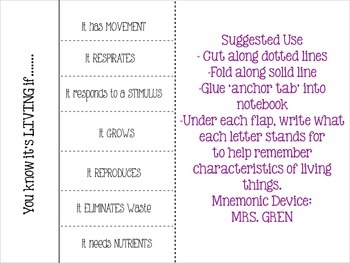 If you don't use interactive notebooks, you could easily glue this into a binder or on a piece of construction paper. I use this as a means to take notes in my class, but you could use it as homework, group work, at centers, etc.